Astatine (At). 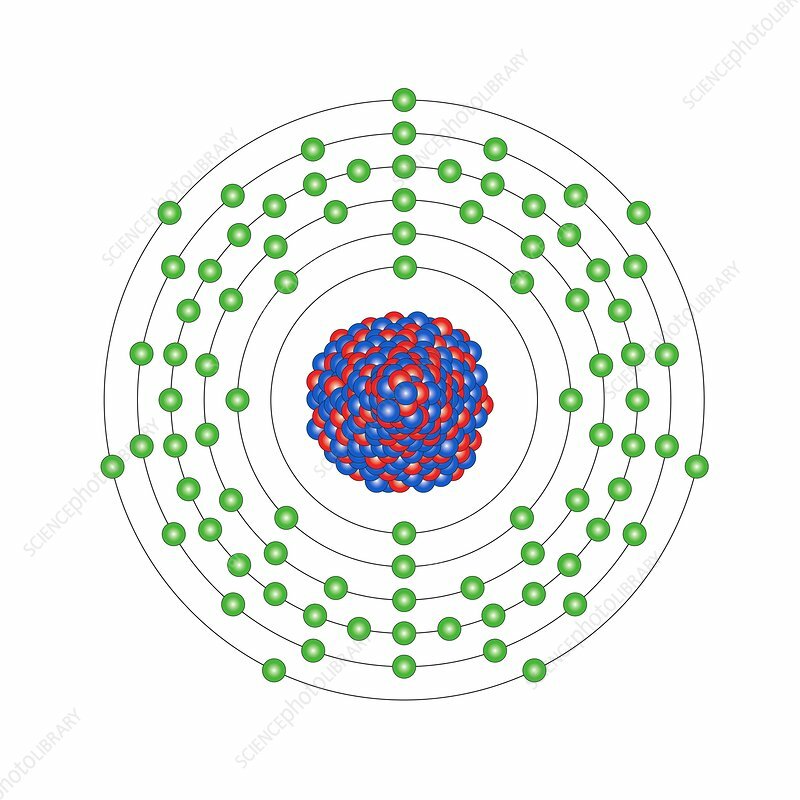 Diagram of the nuclear composition and electron configuration of an atom of astatine-211 (atomic number: 85), a synthetic isotope of this element. The nucleus consists of 85 protons (red) and 126 neutrons (blue). Astatine is a radioactive halogen in group 17, period 6, and the p-block of the periodic table. Astatine-211, used in nuclear medicine, is produced by bombarding bismuth-209 with alpha particles. It has a half-life of less than 8 hours, its unstable nucleus undergoing electron capture or alpha particle decay.